More announcements will commence from Monday throughout the festive season. Thanks to Steve Davis for passing on the news. Billed as Masters of Pop in the TV Times, some poor quality 8mm footage filmed from the TV was the only previous reference for this lost pop classic. Not any more. Found on beautiful 2” colour videotape by Chris Perry. Tsk. Would someone do a better cut-and-paste,please? Is this the Jack Good show circa 67 ? 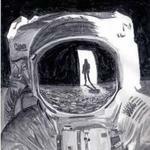 Check out the Kal Twitter page for discoveries 342-371. David Jacobs is joined by Carry On actor Kenneth Connor to look at the latest range of washing machines on offer from Servis. The title is a deliberate pun on What a Carry On and sees Connor in Carry On Regardless mode. Ever heard of the PVL collection? A collection of early video recordings made by a BBC engineer. Well, he let someone copy them and they now can be found all over the internet. Well… or so we all thought. But in 2017 Kaleidoscope were allowed access to the original tapes, and we have been examining them ever since. And it seems that the person who made the copies that circulate online deliberately missed bits out. In fact, someone seems to have taken a complete show and deliberately messed with it to make it incomplete. The 22.6.1973 show was believed incomplete. Every copy online has been edited. But it does exist complete. The Slade track that had been edited out is not missing. Reel to reel videotape transferred to digibeta and digital file. Reel to reel videotapes transferred to digibeta and digital file. I thought the PVL man's wife destroyed all of the tapes bar a couple when he died? That was certainly the story posted on here at the time. Maybe she said that just to stop being pestered by people. 'Fraid it's not too far off. The one time that I met him, a few years before his death, he seemed more or less resigned that his wife would NOT care for his collection when he died. Tiny but wonderful Kal find (Beatles!). Another Kal announcement for Doctor Who Audios today. The main thread is in the Doctor Who section of course. The BBC’s holdings of domestic ‘It’s A Knockout’ programmes prior to 1975 are very patchy indeed, with only 8 editions (from 52) surviving in some form between 1966 and 1974. The situation with the international series, often referred to by the BBC as ‘Jeux Sans Frontières’ to distinguish it from the domestic competitions, was much the same. Prior to this new find, the BBC held just 6 from 60 programmes, only 4 of which contained English commentaries. However, all editions (1965-1982) are held in European archives, with commentaries – depending on the national archive – in Dutch, Flemish, French, German and Italian. The edition, staged in the grounds of Cardiff Castle, featured a British team from Lowestoft, who had qualified for the international event by narrowly beating a team from nearby Great Yarmouth in May of 1970 (a programme which is lost, though film footage of the teams’ training survives in the East Anglian Film Archive and can be seen on their website). The French holding of the 1970 Cardiff ‘Jeux Sans Frontières’ is a B/W film recording, somewhat zoomed in on the image and lacking definition. 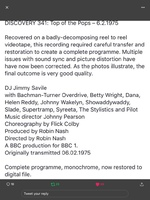 However, it has been possible to combine the soundtrack from this recording with a colour videotaped source from Germany, resulting in a colour recording with that has been returned to the BBC archive. There are, however, three short sections of damage to the German videotape, each resulting in a loss of picture, and the missing footage at these points has been reinstated from the French B/W source. This recovery sees the earliest surviving English language commentary from the ‘Jeux Sans Frontières’ series retrieved and synchronised with a colour recording thanks to the efforts of Alan Hayes who has worked tirelessly to create this restored version. Thanks to Steve Davis once again for passing on this news.